My favourite dish that I can easily make at home HAS to be, without a doubt, Pasta Bake. I was originally taught how to make this when I was at school and over forgetting the original recipe and trying to make it anyway I’ve managed to come up with this delicious Bake. Cook the bacon and chorizo in your frying pan with a tiny bit of oil and the chopped clove of garlic until it’s all sizzling and browning nicely. At this step you should also put in a saucepan of water to boil for your pasta. Chop the onions and add them to the pan, cook until golden brown. 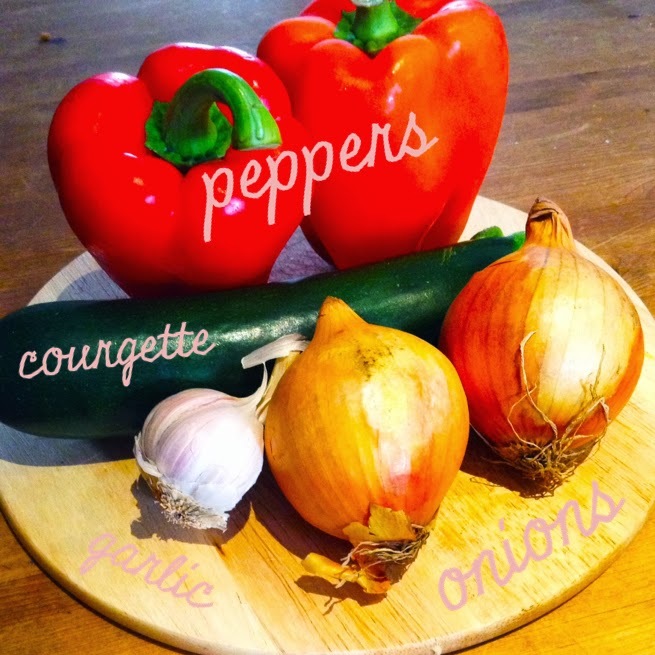 Also chop the peppers and courgette, adding the peppers first – always add green vegetables last as they tend to lose their colour faster. Don’t forget to add the pasta to your boiling water. Next stir in the two tins of chopped tomatoes, the two teaspoons of mixed herbs and the tablespoon of tomato purée, making sure that they are evenly distributed throughout the sauce. Now you should stir in the two tablespoons of Worcestershire sauce, taste in between each one to make sure your not over powering it. Season also with salt and pepper as you need it. Strain your pasta when cooked and mix into a large dish with the pasta sauce. Add grated cheese to the top along with the mozzarella. Cook at 200° for 30 minutes. Enjoy your healthy and tasty pasta bake! What would you normally add to a pasta bake? Oooh this has made me really hungry now! It looks great! Thanks for sending over your link in the chat, now following! Thank you so much! I love it! It's so simple and easy to make and takes hardly any time too!